This is an untreated smooth sanded oak plank. The first striking difference between this board and the other oak we sell is the pale colouration, the raw colour of seasoned oak. 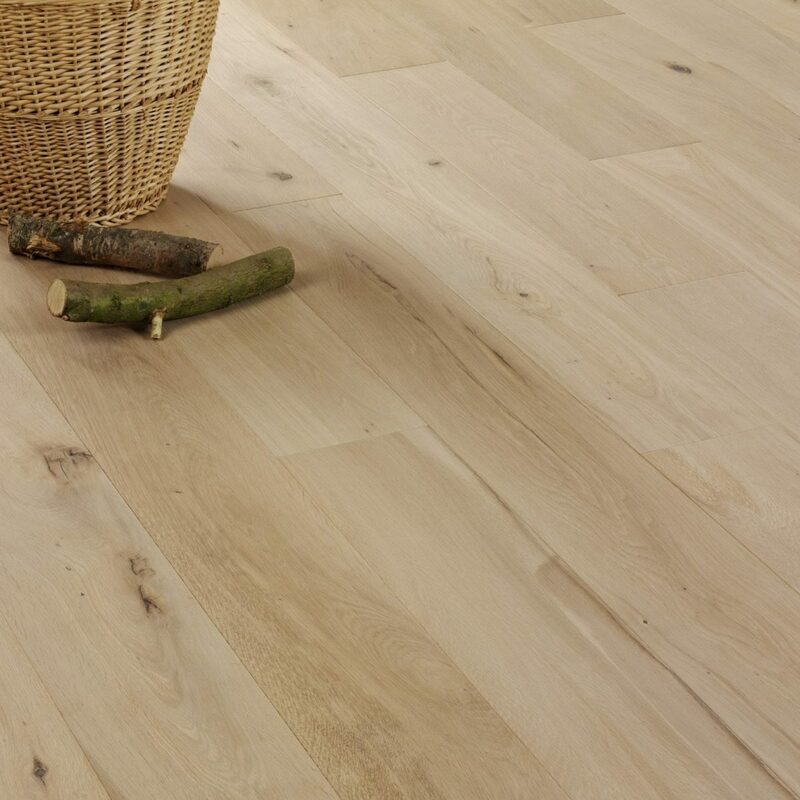 This creates a canvas full of rustic character to which any surface application can be added once installed on your floor. A115 is a tongue and grooved board which can be installed as a floating floor on underlay or fully bonded with floor adhesive to the subfloor. Read more about Installation here. This floor is unfinished so the care and maintenance depends entirely on the finish you choose. Read more about how to maintain V4 products here.